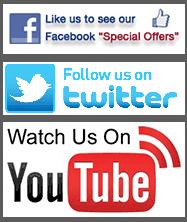 Add 24 hour monitoring for only £18.99 per month. 1. Installed in a matter of hours, easy, quick and no mess installation. 2. 28 Wireless & 2 Hardwired zones suitable for most applications. 3. Totally Wire Free Bell Box with up to 3 years battery life. 4. Onboard speech dialler and central station modem- nothing extra to purchase. 5. Voice prompts make this the most user friendly alarm ever. 8. Choice of many accessories. 10. EN-50131 Grade 2 compliant. 24 Hour monitoring for only £18.99 per month. You receive 24 hour monitoring 365 days per year. Easy installation: All devices are wire free; that means no mess, no wiring to hide, just worry free security. Easy to operate: Using remote control from the key ring, which also has a panic facility, means no "numbers" ! Easy on Pets: Pet tolerant up to 85lbs allows any or multiple pets to move around the home freely. Easy Location: Devices can be used to secure garages, sheds and outbuildings and even outdoor detection for gardens. Easy to move: No hassle re-installation. Easy on construction: Secure the home whilst it's being built or renovated to protect those essential building materials. Never ignored: Using the landline to our 24 hour monitoring centre that always responds!" Conventional smoke/Carbon monoxide detectors are a great Life saver when someone is in to take notice Of the sound, when no one's in they don't do very much. 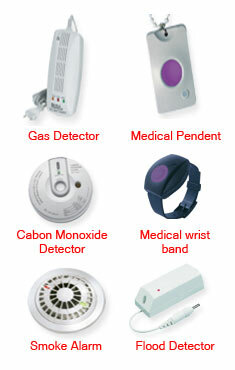 Our range of integrated safety devices always demand our response. Once the safety device detects a problem the system sends alerts immediately using text message, email and audio using telephone landline, GSM, GPRS or broadband informing the user and/or us allowing prompt action to prevent a major disaster. 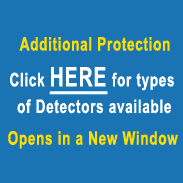 "Can see it, Can smell it - But its too late"
"Cant see it, Can't smell it- But it Kills"
Wide range of detectors available including gas detection, water leak detection, flood detection, medical emergency. It's common knowledge that people are immune to the sound of other people's alarms. 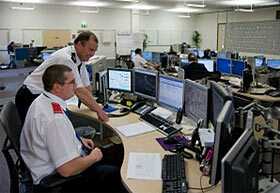 Our monitoring centre ensures the alarm always gets an immediate response 24 hours 365 days. No "2 false strikes" and out. We never cut you off! suspicious. The system can also be monitored wire free using GPRS and/or GSM. BE MONITORED; GET RESPONSE NOW! No longer the need to choose between an alarm system and CCTV or install two systems! 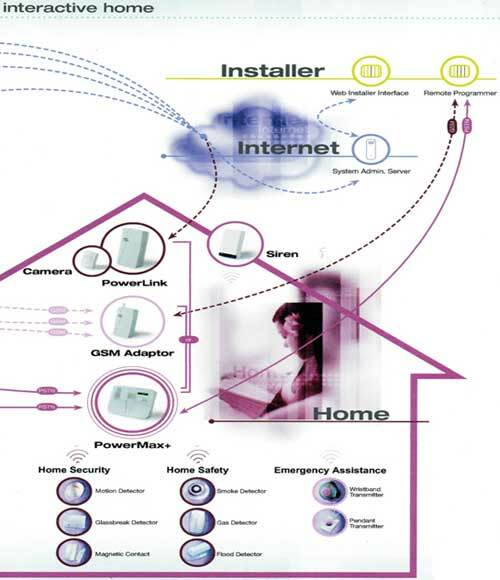 This system Is an integration of alarm, safety, home automation and cameras. View the home anytime from the work place or anywhere in the world! The cameras record remotely on activation allowing playback of the images. The system will send MMS picture messages and picture image by email. View the outside of the home by installing wired external cameras. Install up to 16 wire free devices in the home operating lights, heating and curtains. The system will switch lights on and off randomly providing that "lived in" look whilst the home is empty and switch on when an intruder is detected. Operate the home by remote control or mobile broadband and text message from anywhere In the world. Lights come on entering a room creating an "affordable smart home". Control the home using a cell phone.